Track all the changes to Freeview during the month of May 2014 on this page. 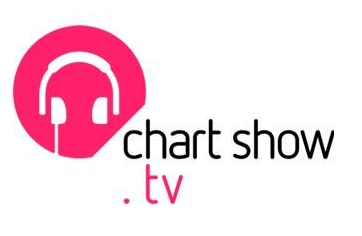 Freeview gained an extra music channel for night owls in local TV coverage areas on the 8th May, when CSC Media's Chart Show TV went live on channel 67, where it will air between 10pm and 6am, using overnight hours from children's channel POP. Local TV stations preparing to launch in Scotland and Wales were promoted to channel 23 following bid tv's demise. Not available from relay transmitters. In preparation for extended coverage of Wimbledon, Glastonbury and Commonwealth Games. To start broadcasting 16th June. Nottingham / Fens area. Programmes start 4pm 27th May 2014. On air 2200-0600. Local TV coverage areas only. BBC Red Button - additional streams available during the summer. STV Glasgow launches in Glasgow on Freeview channel 23, 02/06/2014. At the beginning of May, coverage of the new COM7 multiplex reached 68% of UK households. By mid-June, coverage will have been expanded to 70% of UK households, bringing BBC Four HD, CBeebies HD, BBC News HD, Al Jazeera English HD and Community HD to viewers with "Freeview HD" certified devices. Updated 14/05/2014 - coming soon section. 20/05/2014: logging further changes. 27/05/2014: various minor changes. See September 2014's update page for details of the changes that saw Chart Show TV go Manchester only, undoing what happened in May 2014.